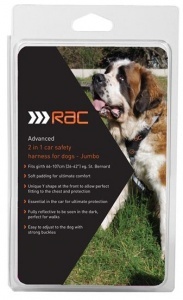 The RAC Advanced Car Harness for dogs is an essential safety aid for travelling with dogs in the car. The unique Y shape front allows perfect fitting to the chest. Durable design with soft padding for ultimate pet comfort. 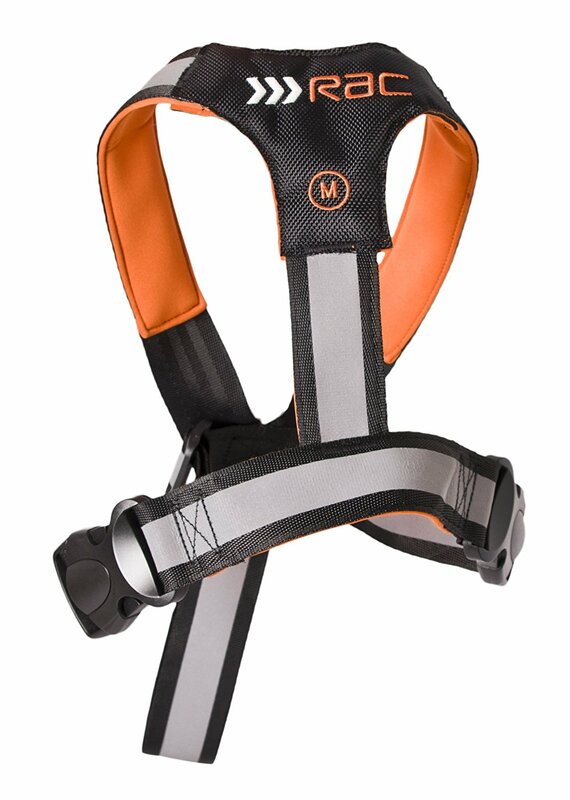 Easy to adjust and fully reflective for walks. XL size: chest measurement 22" - 35"
Jumbo size: chest measurement 26" - 42"